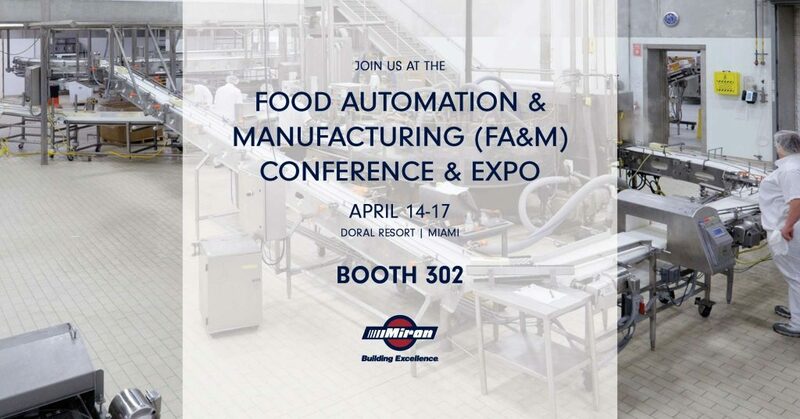 Miron Construction will again exhibit at the Food Automation & Manufacturing (FA&M) Conference and Expo, taking place April 14-17 at Doral Resort in Miami, Florida. The event brings together food and beverage processors and suppliers to share information on the latest trends and technologies impacting the industry. Miron’s diverse experience in the food and beverage industry gives us valuable insight into the challenges these clients face every day. We have earned a reputation for Building Excellence in food processing construction by continually setting the standards for safety, sanitation, and quality. Visit Miron at booth 302 during the Expo to learn more about our innovative construction solutions.